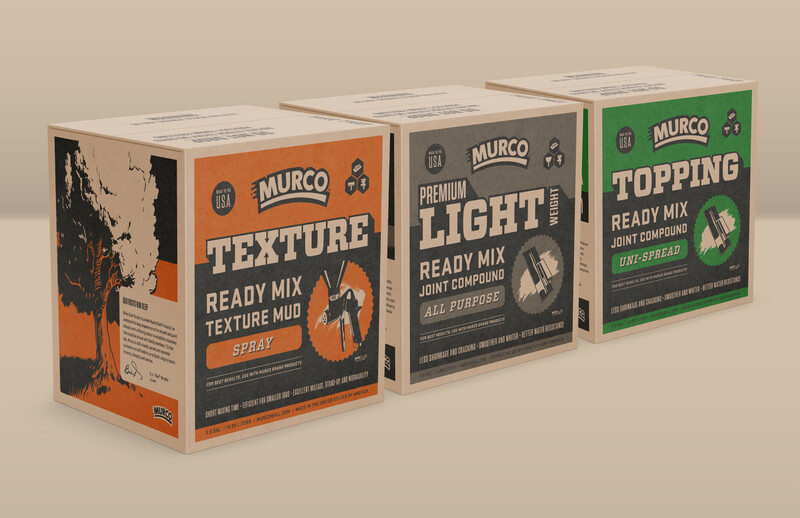 Murco is the name trusted by painting professionals and DIYers alike for its no-frills wall products that strike the right balance between quality and affordability. Historically, their products have only been sold in Murco storefronts. When the time came to expand into major retailers, they came to Caliber to give their brand a much needed face-lift. From a new logo, boxes, bags and cans to a simplified coding system that helps make the brand less confusing to consumers, Caliber carefully reconstructed the Murco brand. The end result is a refreshed easily understandable brand aesthetic that remains fresh, simple and appealing.